Mediation in the courts: justice served or denied? “use of a third party with coercive power, the usually ‘win or lose’ nature of the decision, and the tendency of the decision to focus narrowly on the immediate matter in issue as distinguished from a concern with the underlying relationship between the parties. its capacity to reorient the parties toward each other, not by imposing rules on them, but by helping them to achieve a new and shared perception of their relationship, a perception that will redirect their attitudes and dispositions toward one another. Sander described a courthouse which offered many avenues for justice, uniquely suited to the dispute and the disputants. Sander’s paper helped launch a revolution in ADR and the American legal system. While ADR today is institutionalized in courts throughout the U.S. and the world, not all would agree that the result has been better access to justice. New Zealand mediator Geoff Sharp points his readers this morning to a post by Tulane University Law School Professor Alan Childress on the Legal Profession blog that argues for the “Value of Litigation: Against Settlement and Mediation“. Professor Childress raises serious questions about a justice system that seems to place greater value on settling cases than on serving justice. He evokes New York subway vigilante Bernhard Goetz, who shot four youths in 1984. Several years earlier, Goetz was mugged and beaten by three youths in a Manhattan subway station. The court offered him the opportunity to mediate his dispute with one of his assailants, but Goetz declined. Childress speculates that “[i]t is quite possible that Goetz was not snapped by subway crime or ‘kids today,’ but rather by a legal system that no longer wants to state right or wrong, or enforce norms, just dispute-resolve”. He reminds readers that “The Goetz example was used well to argue that law and courts have important social value, in many kinds of cases, that go way beyond dispute resolution, or even trendy alternative dispute resolution”, citing Albert W. Alschuler’s “Mediation with a Mugger: The Shortage of Adjudicative Services and the Need for a Two Tier Trial System in Civil Cases“, 99 Harv. L. Rev. 1808 (1986) (not available free online). Goetz’s unwillingness to rely on a legal system that had invited mediation with his attacker — as well as the public’s initially favorable response to Goetz’s act of violence — suggests what can befall a society whose legal system fails or is perceived to fail. Although Goetz’s act suggests a lesson about retribution and criminal justice, it also offers a broader lesson about procedure. Goetz’s despair and indignation may not have been entirely the product of his sense that his attacker had gone unpunished. More fundamentally, Goetz may have concluded that no one in the legal system had been willing to listen and to determine whether this mugger deserved punishment. In place of a prompt hearing at which a judge or jury would decide what had happened, this system had offered a conciliation proceeding designed to encourage the victim and the victimizer to resolve their differences and go on their way. The apparent procedural default of a bureaucratized and overburdened legal system may have fueled Goetz’s sense of injustice as much as his misperception of the substantive outcome. It is true that overburdened courts often place undue emphasis on getting cases settled. And there is evidence to support the claim that all too often litigants, particularly those who are unrepresented and unfamiliar with the law, are coerced to mediate and settle cases. And few these days would credibly claim that mediation is appropriate for every dispute. Justice must always come first — and certainly well ahead of administrative or bureaucratic goals. I agree with Childress that the courts serve a crucial role, and that the Goetz case does raise disturbing questions that the mediation field should not shy away from. But I wonder whether the Goetz case serves as the best example of a very real and vexing problem. It involved a criminal complaint, not a civil one. Should the failings of a criminal justice system serve as evidence to condemn the mediation and settlement of civil disputes? [Goetz’s assailant] was ultimately punished for his crime. He later received a three-to-nine year penitentiary sentence for additional robberies committed after his release. At last word, he was still in prison. The victim of the mugging, however, was never told what had happened to his attacker. He thought that the case had ended when he declined the offer of mediation. This seems more of a bureaucratic failing — a failure to keep a victim informed. While there are many problems that can be laid at the doorstep of ADR, is this one we want to add? No matter what, an important lesson emerges here. In opening multiple doors to resolution, courts must remember that one size does not fit all. A process that fails to fit is not a just process. Let the process be appropriate for the dispute and those most affected. We must always be asking ourselves, is our priority to settle cases and clear dockets? Or is it to serve justice? Let’s make it the latter. This entry was posted in Lawyers, Law and Justice, Mediation. Bookmark the permalink. Have we not progressed since then? ADR is one alternative – litigation is another – most cases (90%?) settle without trial anyway, so why not promote settlement in appropriate situations, litigation in others. Must it be an either/or? Colm, I’m not suggesting it be either/or. I think we can do both –settle cases and achieve justice. I’m sorry for not making this clearer. My point is that too often justice gets shunted aside or sacrificed to satisfy bureaucratic needs — like clearing dockets. 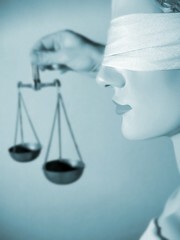 There is plenty of evidence that all too often parties are pressured into settling cases in court-connected mediation. This is particularly so when parties appear pro se. Among the causes? Mediators lacking adequate training or supervision, too much emphasis on metrics and settlement rates by courts and mediation programs. It’s a problem here in my state, it’s a problem elsewhere, based on personal observation and on the many conversations I’ve had over the years with mediators, lawyers, and consumers of ADR services. Often, too, parties are simply not given a voice at the mediation table. Case in point: I recently spoke with a law student who observed a personal injury mediation in a court-connected program. There were lawyers on both sides of the table, and a lawyer conducted the mediation. Not once, even during caucusing, did the mediator acknowledge or even look at the plaintiff. It was as if the plaintiff did not exist. This is a story I’ve heard all too often. Look, I’m a mediator. Obviously I support ADR. But it has to be meaningful. The point of the Goetz story is that Goetz may have felt disempowered by the court system, bereft of a voice and an opportunity to be heard. Supporters of court-connected mediation (and I remain one, despite the concerns I raise here) must not lose sight of the importance of providing a forum for people to be heard. People, not settlement rates, not bureaucratic demands, must come first. I think you could say that I’m arguing for greater customer satisfaction. Higher settlement rates don’t necessarily signify greater customer satisfaction. It’s not an either/or. It can be and/and. But the delivery of justice must be the top priority. Diane, I agree with you that some people do feel disempowered by the court system and this is one of the reasons why I became a mediator. Unfortunately, lawyers can get in the way at the mediation table but hopefully if a mediator is trained properly, there is less chance of this happening. But I guess too many people may be calling themselves mediators without going through the training. I have been a mediator for 26 years, 7 of which I was the director and mediator of a court-connected mediation program. I have mediated everything from criminal cases to multi-party civil actions. There will always be a push from court administration to settle cases, and they will always look at dollars and cents, settlement rates, and the time it takes to resolve a particular case. I was able to resist the urge to twist arms to get cases resolved, but there is a trend to use a cookie-cutter approach to mediation. If we can preserve our intergrity and maintain core standards, we can attain the the status as peacewarriors that we deserve. If we succumb to the paper-pushers, court-connected mediation will be doomed to bureaucracy and stagnation. Mark, I’m giving you the cyber equivalent of a standing ovation right now. Well said.